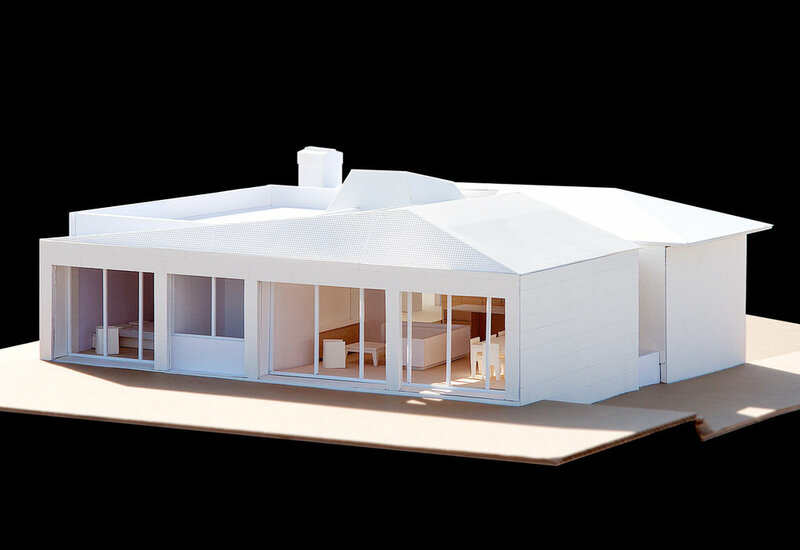 The model showing the addition's connection to the backyard. The Egan residence is a 541 square foot addition and a complete renovation of a home in the Silver Lake neighborhood of Los Angeles. 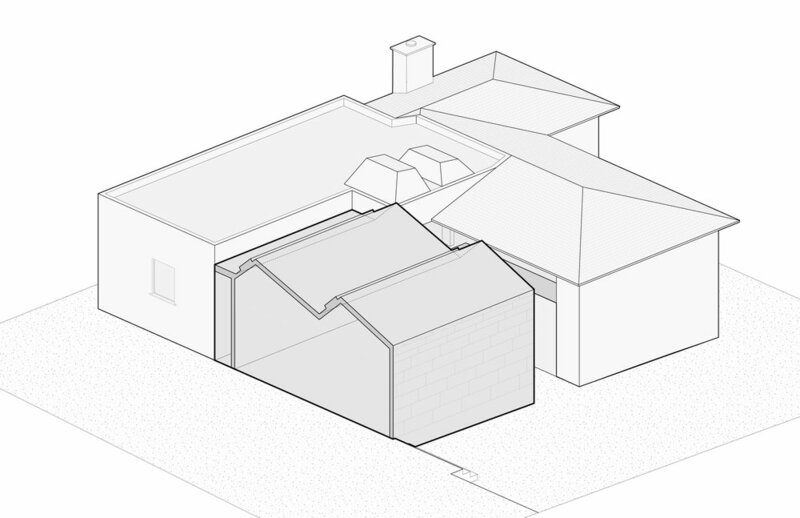 The existing Spanish style house was comprised of small rooms that separated the living spaces from the backyard. We retained as much as possible of the existing house to maximize the modest budget, focusing the addition to the rear of the house to create a connection between the living spaces and garden / pool. The transparent screen is made out of a perforated metal that unifies the saw tooth roofline with the rear facade. The addition is comprised of a large open plan kitchen, living room and dining room with vaulted ceilings and a new master suite, which opens onto a private view-garden. 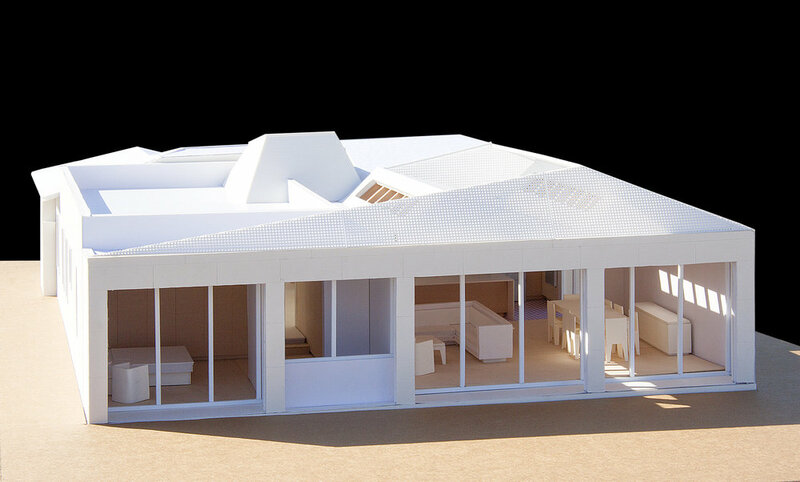 Photograph of model showing the skylights and wood clad vaulted ceiling with exposed beams. 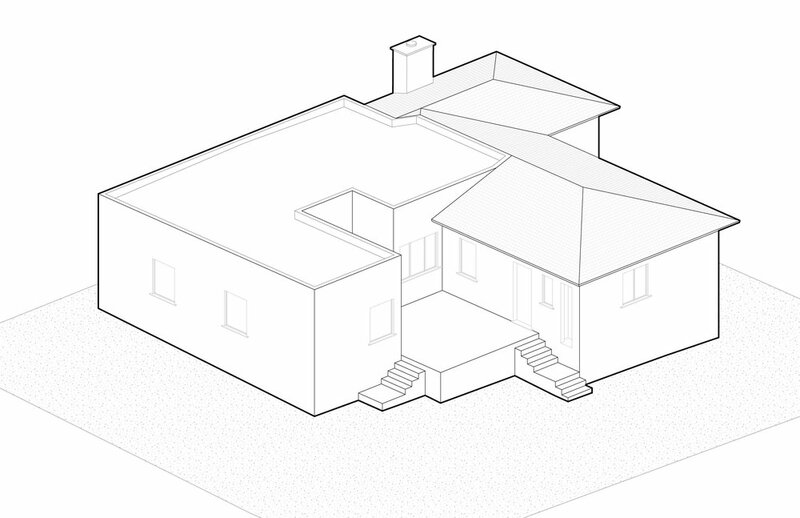 Proposed plan showing the kitchen and living room that opens to the rear yard and pool. Section though the living room showing the sawtooth roof and kitchen beyond.